This essay on Matthew Arnold was an attempt to do at least two things. It was first, a consideration of Matthew Arnold’s place within the context of modern literature and the modern psyche as a whole. Second, it was an attempt to develop a more discursive voice for my prose. This second purpose meant handling the material differently than with a simple academic focus, but rather with a kind of poetic rhapsodizing. Thus the essay is a meditation on the fragmentation of the modern psyche using Matthew Arnold as the focal point around which that consideration revolves. Disparate elements play into it, but return to him as a leading representative at the beginning of its manifestation in the world. Matthew Arnold was the reluctant modern. “Resolve to be thyself” he pleaded because he was unable to embrace his own spirit. He longed for unity but wrote to his sister, “I am fragments.” These expressions seem excessive to us only because we are its natural descendents. “Man is the only creature that refuses to be what he is” said Camus. And George Oppen wrote, “We have chosen the meaning of being numerous.” The multitudinous and fragmented world that daunted Arnold can no longer overwhelm us because we are it. Arnold was among its firstborn, for what Arnold the critic resisted, Arnold the poet embraced. He refused to be wholly himself, and this war with himself made him as modern as any poet writing today. Arnold was appointed to an inspectorship of schools in 1849. He valued education and knowledge perhaps as highly as we value information. That he turned to the Greeks as models of the best in poetry and thought was all too instinctive. For the Greeks understood ignorance as the enemy of integrity. The Delphic Oracle said, “Know thyself,” to help conduct people to a noble life. But modern man is beyond the Delphic dictum for he has foregone integrity for multiplicity. The modern person in quest of self-knowledge does not seek to know himself; he seeks to “find himself.” And Arnold was such a man because he knew “who finds himself, loses his misery!” Modern man is not ignorant but lost. A labyrinth of constant self-analysis confounds him. He is the Daedalus of his own mind, an inventor of mazes and convolutions of thought for which his conscience imprisons him. It does not let him rest. It drives him to circle his cell, to ever move and never get anywhere, to ever learn and never come to a definite knowledge. Looks once, and drives elsewhere, and leaves its last employ. Modern man’s identity is a series of momentary stays against confusion. He is perpetually asserting his psyche’s identity to withstand the threat of other identities. Arnold noted that “Hardly have we, for one little hour,/been on our own line, have we been ourselves.” Keats could not have conceived of the numberless selves springing up and dissolving in the modern psyche because negative capability was, to him, a poetic talent or character trait. But to the modern mind it is either its nature or its neurosis. This dualistic psychology gives birth to our multiple warring personalities. Seeing this multitude rising in himself and in the world, Arnold was one of the early thinkers to conceive of “the masses.” He knew man was getting lost in the multitudes both in the world and in himself. “Each half lives a hundred different lives” he said. And none of those halves are in harmony, but moving in a growing discord. Sartre’s remark that “hell is other people” was foretold when Arnold said, “Other existences there are, that clash with ours.” Feeling the perpetual struggle, Arnold looked at nature with envy. Arnold in his social criticism chastised British society for “the anarchical tendency of [their] worship of freedom.” He knew that some authority must exist to which people answer, even if it were only his cherished “right reason.” But Arnold was, as Blake said of all true poets, “of the Devil’s Party without knowing it.” In his prose Arnold knew where poetry was going and why, and in his prose he struggled against it with all his might. But his poetry was authentic as his prose was desperately sincere. His prose demanded guidance from right reason, but his poetry enshrined the boundlessness of man’s soul and the endless struggles it was condemned to engage. Torn by the force of the indifferent mechanism which modern society has become, he is in fragments. But driven by the rage to assert his integrity or charged by the very power that rips at him, modern man tries to understand himself, hoping enlightenment or knowledge will save him. And many a man in his own breast then delves. . .
Modern man does know himself. 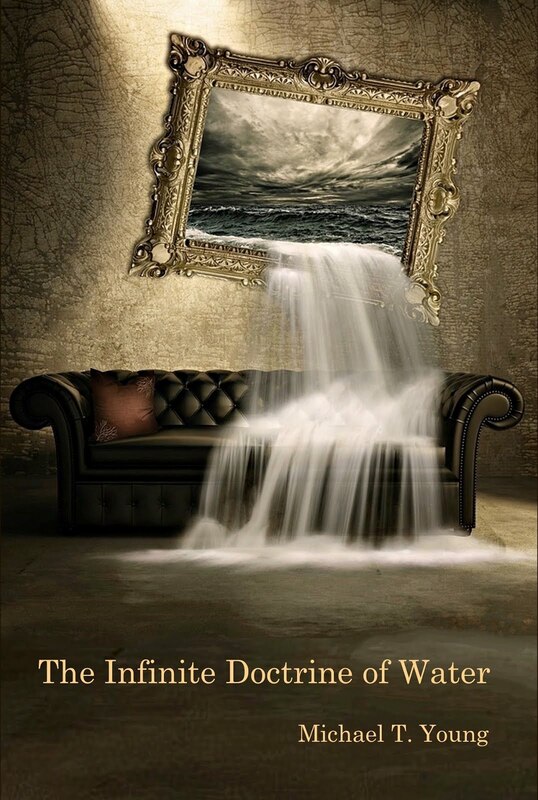 He is better informed than all before him about psychology, physics, and the numberless scattered trivia that compose his external and internal worlds. His failure is that he “isn’t” himself. Is eloquent, is well—but ‘tis not true! To the problems he saw in the world, Arnold tried to interject solutions, but his poems ring true when he simply records his observation of the discord that he cannot resolve. Even in his prose, when he defines culture “not in resting and being, but in growing and becoming” he has already embraced the spirit of an age he condemned. While he warned against the “unrestrained swing of the individual’s personality,” he hoped to fill a cultural need by “spontaneity of consciousness.” Like us, Arnold had enough self-knowledge to know the faults if his time but not enough inspiration to know the way to resolve them. His ultimate abandonment of poetry was inevitable. Arnold excluded “Empedocles on Etna” from later collections of his poetry. He said it was because its sufferings had no release in action, that there was no relief from the pain through hope or resistance. And this is partly true because Arnold already understood what Sartre said in the 20th century, that for modern man “there is no reality except in action.” Empedocles’ most assertive self-expression was self-destruction, the most valid action for the man “whose insight has never born fruit in deeds” (“The Scholar-Gipsy,” 174). That is, a violent action becomes the only action for those whose self-knowledge has no expression in their being. My soul glows to meet you. “Empedocles on Etna” is the earliest expression of Amor Fati, the only control left for the non-existent. Death is Empedocles’ salvation. A character in Malcolm Lowry’s Under the Volcano says, “What is a lost soul? It is one that has turned from its true path and is groping in the darkness of remembered ways.” It is caught in a circuit of habit and recollection, reiterations of yesterday which it mistakes for tomorrow. This is what produced the nostalgic poetries of Leopardi and Hood. In them, it was innocent and young but in Arnold, it was a spirit of self-knowledge and fragmentation. For us, in the 21st century, it is simply the nature of things. As Larkin said, “nothing like something, happens anywhere.” The non-existent has taken place of our being. Arnold was the first poet to register this displacement with something like conscience. His struggle against it became part of the discord which made him one of its primary representatives in the Victorian age. In his poetry he affirmed the fragmentation, the fears and the self-assertions that he denied in his prose, but not because he lacked self-knowledge but because his self-knowledge could not change what he was. I happily discovered this poet through Facebook. The Ahsahta Press sent a publication notice for his New & Selected Poems along with one sample poem. 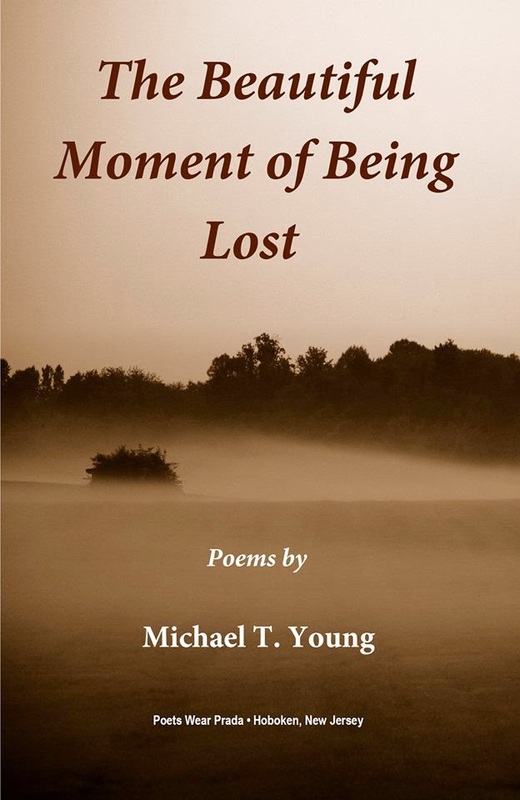 The sample poem was short, but stimulating, a poem that, as a poet myself, I thought after reading it, “I wish I had written that.” Consequently, I ordered his New & Selected Poems and am truly glad to have encountered this poet’s intelligence. He is a jazzy sensibility. This is clear in the variety of his forms. He seems to endlessly experiment. His poems range from metrical to free verse to prose poems. You can see stylistic undercurrents from such diverse sources as William Carlos Williams, Kenneth Patchen and Francis Ponge, which is not to say these are direct models, but simply atavistic ancestors. You hear them faintly, in the distance, since Hartman makes the forms his own, extending them, working them into his personal vision and exploration of meaning. In each form he shows himself capable of transforming his material into the search for the limits of what might be said. However, testing these boundaries always carries risks that few ever escape all the time. Sometimes his poems lose their emotional tie, lose the sense of a definite speaker and become simply linguistic artifacts. These perhaps result from struggling too hard to reach his end. But at his best, when he allows his instinct to carry him a little of the way, these ties hold and thread together his deep curiosity, his intelligent wanderings and make for sometimes unexpectedly moving poems. Such startling examples are “Over a Cup of Tea,” “Joinery,” “The Theory of Sunday,” and “Landscape with Marmots: Quasimodo Unstraps His Hump.” Such extremes in his work come from his daring, his willingness to take risks, exploring the boundaries of meaning as other poets such as James Tate, John Ashbery or Marvin Bell. For Hartman, this exploration is bound up with the vague landscapes of memory and the fragile constructions of the self, both of which are not solid, but fluid, a movement rather than an object. As he says in “The Long View,” “Who we are is where we have been going.” Memory and identity are verbs, not nouns and time in this context is part of a puzzle that is perpetually constructed by the attentive intelligence. “Time is pieces to adjust” he says in “The Lens.” Because of this fluidity the self that suffers the flux has a singularly important lesson to learn: compassion. As much as Hartman’s poems are full of risk and experimentation, they are also full of forgiveness. Rather than suffering making us stronger, it has instead the potential to make us more understanding, more accepting. the vertigo of a stair missed in the dark. decides gracefully never to have existed. It is the willingness to go on in the common effort beyond our endless error. each other, all we can hold. This is an intelligence striving to accept its own limits and extend that as grace, a mind creating a kind of faith by the power of its imagination. We do what we can with the limits of our minds and hearts. We struggle toward each other and always failing, accept and hold what we can of the approximations we make of each other’s presence. So, if Hartman’s poems sometimes get lost in their own discourse, it is only because they are like these approximations, which are ultimately believable and beautiful in their efforts and rhythms, delightfully intelligent in their experimentation and exploration. New & Selected Poems was published by Ashatha Press in 2008. Ten or fifteen years ago, I wouldn’t have given a poet like Gerald Stern a second thought. Today he is one of my favorite poets, one of those liberating voices I am constantly refreshed by. The following essay grew out of a particular poem of his that kept coming back to me after reading his collection This Time. The poem “June Fourth,” even months after I’d read the collection, kept reviving in my mind: it’s imagery and tone, a kind of quiet rebelliousness. This gentle obsession ultimately led me back to his work and a deeper consideration of it. Out of that reconsideration, I discovered a poet whose work connects to a long history. There are experiences and perceptions that change us so completely that when we look back at how we lived and saw things before, it is as if looking at another person. It seems that an old self is sloughed like a snakeskin and a new self emerges. It is a refinement. It is an experience of what some call the sublime. Such moments are the center of Gerald Stern’s poetry. His poems almost always take place at a moment of transformation, the instant of breakthrough. He is America’s consummate poet of the modern sublime. Stern’s poems are deceptively simple. He writes in a language completely devoid of pretense and yet dignified with the elegance of profound meditation. He thinks and thinks deeply and through thought, the sublime is registered. We are transformed. As he says in the poem “The Thought of Heaven,” “I let it change me, that/is the purpose of thought—I call it all thought, whatever/changes you” (239. ln. 71, 72). This change occurs to a figure in his poem “June Fourth.” It is a short poem that gathers all the major threads of Stern’s project: experience of the sublime, mourning of the past, and exhilaration of the emerging self. These threads all rise or recede in Stern’s poetry as his sensibility is sensitive to one, now another of them. But in “June Fourth” these threads come together with a subtle neatness. rising from Shell and Victor Balata and K-Diner. staggering over fruit and drinking old blossoms. Before he walks back inside he will be changed. what he calls "honeysuckle" (90). One of the attractions of this poem is the articulation of the man’s experience as “honeysuckle.” Not only does the poem articulate an inner reality through a sensual experience; it was a stroke of genius to have chosen a smell as the vehicle. Physiologically, smell is the most closely connected to memory. But memory isn’t only relevant to this poem, as we shall see later it is also a relevant characteristic of the modern sublime. Over a long period of time I was haunted by the poem’s simple and beautiful articulation. It slowly seduced me. Part of that seduction was the realization of its connection to another transformation beginning at least as far back as Milton. It seemed necessary to compare the figure in Stern’s poem to Satan in Paradise Lost. The most obvious connection between them was the use of metaphorical language to articulate an inner experience. As the man in Stern’s poem uses “honeysuckle” to express his transformation, Satan expresses his transformation with the famous line, “Which way I fly is hell, myself am hell” (bk. 4, ln. 75). “Hell” becomes the term that articulates his internal reality. But this merely scratched the surface. Their kinship is deep and rooted in the drastic, even violent change both experience and how that experience is of the sublime. “Sublime” derives from the Latin word “sublimis” and means “to lift high.” In Medieval Latin it meant “to purify” or “to refine.” The original Latin implies a change of place. The Medieval Latin implies a change of quality. But both imply a change of some kind. Although it is not reducible to change alone, change is the term common to every experience of the sublime and is a reasonable starting point for comparing the figures. The man in “June Fourth” is ruined by sweetness and torn apart by thinking. Not only is it a change but it’s described as a violent one. The violence of Satan’s transformation is obvious enough: cast from Heaven to eternal damnation in Hell. But Satan’s change is also initiated, like the man in Stern’s poem, by a moment of taking thought. How conspicuously that phrase "lifted up so high," suggests the original meaning of "sublime." But more simply, for us, this moment of thinking to take God’s place on the throne of Heaven initiates Satan’s fall and subsequent transformation. Though what the figure in Stern’s poem is thinking isn’t clear, it is thinking that initiates his transformation. In the words of the poem, it tears him apart. The man in “June Fourth” feels misgiving and puzzlement. He feels loss and freedom, terror and hope. Satan shares this confusion of emotions. He is tormented by the thought of “lost happiness and lasting pain” (bk. 1, lns. 54-56) but in defiance cries, “Here at least/we shall be free.” (bk. 1, lns. 258, 259). He feels the same exhilaration of “loss and freedom.” He describes the other fallen angels as being “astonished.” Thus both figures are filled with an apprehensive anxiety, a wonder before what has happened to them. Interestingly, 18th century critics, especially Edmund Burke, tied these same emotions to the sublime. “As common labour, which is a mode of pain, is the exercise of the grosser, a mode of terror is the exercise of the finer parts of the system. In all these cases, if the pain and terror are so modified as not to be actually noxious; if the pain is not carried to violence, and the terror is not conversant about the present destruction of the person, as these emotions clear the parts, whether fine, or gross, of a dangerous and troublesome incumbrance, they are capable of producing delight. Its object is the sublime. Its highest degree I call astonishment” (136. Part 4, Section 7). That Burke should identify the highest realization of the sublime as astonishment is significant since it is the very emotion Satan applies to the fallen angels. However, I want to focus on Burke calling “labour” a mode of pain and, consequently, a “grosser” type of the sublime. The man in Stern’s poem is a laborer. He works for Bethlehem Steel. Though it is of the grosser type, his pain is thus an experience of the sublime and it connects him to Satan’s pain, for like Satan he inwardly rebels against his condition. Satan, before his decision to aspire to God’s throne was the highest angel. He was the morning star. But he was in this position because God, his creator, placed him there. Satan himself said, “Lifted up so high.” Having been “lifted” implies an external force, i.e., God, put him there. What this means is that Satan before his fall and transformation deferred his will to God, he obeyed God, he was in subjection to God. The man in Stern’s poem also defers his will. He is a worker at Bethlehem Steel. He defers his will to those who employ him: his supervisors, managers, and, more importantly, the shareholders and board members of the company. It is the owners of the company who are the secular version of God. It is they who hold the highest power in the company and determine its standard practice or laws. Part of the worker’s change is that he is ruined by sweetness. Honeysuckle, the term used to identify the figure’s transformation, has a sweet smell. The association is with all that is outside: sunlight, fresh air, and open space. These are set in implied opposition to the factory where it is dirty, claustrophobic and hot. What he aspires for is nothing less than freedom from an oppressive job, freedom to enjoy the sunlight, fresh air and open space. But what he requires for that freedom is the money and power of those over him, especially of those like the shareholders. Implicitly, the man aspires, like Satan, to the position of those in power over him. This quiet rebellion, this opposition, during the 18th century, became an intimate part of the modern definition of the sublime. Hume, in The Treatise of Human Nature, wrote, “any opposition which does not entirely discourage and intimidate us, has rather a contrary effect, and inspires us with a more than ordinary grandeur and magnanimity. In collecting our force to overcome the opposition, we invigorate the soul, and give it an elevation with which otherwise it would never have been acquainted . . .. Opposition not only enlarges the soul; but the soul, when full of courage and magnanimity, in a manner seeks opposition” (qtd. in Boulton l, li). This “elevation” of the soul, obviously associated with the sublime, in Hume, is also associated with opposition itself. The association gained acceptance among critics through the 18th Century and in the Romantic poets was embraced in the images of the rebel and outcast as hero: Shelley’s Prometheus, Byron’s Childe Harold, Blake’s Los. In fact, Blake not only claimed Satan was the true hero of Paradise Lost but also expressed Hume’s point epigrammatically, “Opposition is true friendship” (42). A curious historical fact lends credence to this point for the Stern poem. After Bethlehem Steel closed in the mid-90’s, a theater troupe took the unemployed workers and staged a performance of Shelley’s Prometheus Unbound. This gives us the analogy that, in Stern’s poem, Bethlehem Steel is the Zeus-like power against which the Prometheus-like worker thinks to rebel. The opening of Demogorgon’s final speech in the play is relevant. We live in a secular age and in such an age, heavenly despots are replaced with a board of shareholders, hell with earth, and Satan or Prometheus with the ordinary, working man who, like those figures, aspires toward the better life of those who employ him. The man in Stern’s poem is “the earthborn” yawning for “heaven’s despotism” and he experiences all the mixed exhilaration of those other independent, self-determined figures. The man in Stern’s poem doesn’t openly rebel against his employers. He doesn’t quit his job, try to steal from them or to kill them. His rebellion is internal, an epiphany, a moment of insight. However, it is not spurious for being so. Most of us go to jobs we care little for, in fact, probably hate. We inwardly rebel against a condition to which necessity forces us to acquiesce. This does not make the disparity between our actions and feelings, between our outward circumstance and inward reality any less real or less painful. Each of us determines in some way, we are not defined by our job, we are something else. This is also to say that the essence of the rebellion is the desire for self-determination and the power used to define that self is the imagination or memory. Thy making? While the Maker gave thee being? Satan is invoking the power of memory to claim his past. What he can’t remember, he denies, thus reducing his sense of self to what his memory dictates. He is attempting an act of self-creation. He wants to be “self-begot, self-raised.” Memory is the faculty by which he tries to claim that power and it is the same power invoked at the beginning of Stern’s poem. Memory defines the boundaries of the poem. But there is a hint that something isn’t quite right. The peculiar phrase “staggering over fruit” implies something of a stumbling block, perhaps a kind of alcohol, intoxicating the mind. The “drinking” of old blossoms reinforces the assertion. It is reminiscent of taking the fruit in Genesis, for there the temptation was that “ye shall be as gods.” That is, you shall become like your creator, becoming, in a way, self-created. Satan, for the same desire, was cast into Hell. The worker in “June Fourth” suffers no less. Though we never see him in a heaven from which to be cast, we see him in his desire for the heights of it. He lies “on his left elbow studying the sky.” “Left” has always had unfavorable implications. The word itself derives from an Old English word meaning “idle,” “weak,” and “useless.” The word “sinister” derives from a Middle English word meaning “on the left side.” The worker in Stern’s poem, by this gesture, is aligning himself with the rebellious, with the sinister. The man also is “studying the sky.” He is not simply looking distractedly in its direction. It implies that he isn’t thinking of something else, he is thinking about the sky, for one studies something in order to master it. Quietly, and symbolically, the figure follows in the footsteps of Satan, Prometheus, Los, the rebels of literary history. For his ambition, he is banished to labor “under the dirty windows.” The word “under” is telling for it could have easily been “behind.” But “under” suggests a vertical direction for the worker in relation to it. That is, the worker has been cast down. The factory is hell. But he has our sympathy, for he is the hero of our age. He is the underdog. He is our co-worker. He is each of us going to work everyday. Blake, William. The Complete Poetry and Prose of William Blake. Ed. David V. Erdman. New York: Doubleday, 1988. Burke, Edmund. A Philosophical Enquiry into the Origin of our Ideas of the Sublime and Beautiful. Ed. James T. Boulton. Indiana: University of Notre Dame Press, 1986. Milton, John. John Milton Complete Poems and Major Prose. Ed. Merritt Y. Hughes. New York: Macmillan Publishing Company, 1957. Shelley, Percy Bysshe. The Selected Poetry and Prose of Percy Bysshe Shelley. Ed. Carlos Baker. New York: Ramdon House Inc., 1951. Stern, Gerald. This Time: New and Selected Poems. New York: W. W. Norton, 1999. My essay on George Oppen, the inaugural posting in my blog, opened with a poem Oppen wrote to the British poet, Charles Tomlinson. The following essay is a consideration of the poetry of Charles Tomlinson, a wonderful poet in his own right. One thing I should alert my readers to is that I am, so far, unable to make the poems properly post with their indentations. I apologize for this and hope to shortly rectify this problem. A poet is a type of geographer charting verbal countries in rhythms and metaphors. Some note the unobserved details of previously visited terrain while others discover altogether new islands. What the British poet, Charles Tomlinson, does is bring this metaphor of mine closer to an identity. That is, his verbal explorations are most often of literal geographic locations and their metaphysical depths. Tomlinson is deeply attuned to the landscapes he has visited in his lifelong travels, whether it’s Venice, Rome, Oaxaca or New York. Although Charles Tomlinson has a name less recognizable than Philip Larkin or possibly even Thomas Gunn, he is their contemporary and as much a masterful poet. He was born in Stoke-on Trent in 1927 and educated at Queens’ College, Cambridge. A professor of English at Bristol University for thirty-six years, Tomlinson is also a successful visual artist, with some of his works published in 1976 under the title In Black and White: The Graphics of Charles Tomlinson. These are delectable syllables, tasteful on the tongue and easy to relish. In fact, it might be enough to simply bask in the pleasure of his sound if that were all his poetry offered. But it isn’t. In early and late poems alike he returns to locations to meditate upon them and Tomlinson is a profound thinker. Buildings, events, moments in his travels are carefully and caringly traced through collections ranging from The Necklace in 1955 to Skywriting in 2003. Discouraged greennesses, lights from a pond or two. The cows stand steaming in an acrid wind. Has been their hornbook and their history. Like his contemporaries such as Kingsley Amis, Donald Davie and Philip Larkin, Tomlinson responded stylistically, and even thematically, to those excesses found in a poet like Dylan Thomas. His poetry is not grandiose and passionate but thoughtful and controlled. This is not to say that Tomlinson’s poetry is cold and indifferent. Rather, his poetry shows the complexities of a mind and heart equally bound up in its responses to the world. These elements—heart, mind and world—so mingle and mutually make each other, none govern absolutely. But together they engender a form and structure in Tomlinson’s work that is not only poetic technique but insight into universal principles. In “Swimming Chenango Lake” the light playing on the water “is a geometry and not/A fantasia of distorting forms.” It is this same impetus that inspires a poem like “Against Extremity” or “Roma: Monte del Gallo” where the nature of two cypresses sit in “deep/Arboreal indifference to unsleeping Rome.” To Tomlinson, structure, form, and artifice are healing powers and the way to “wish back Eden.” But it would be wrong to think there is no conflict or struggle. We are, in fact, the dispossessed, living in a world expelled from Eden. This territory has been Tomlinson’s poetic homeland from the beginning. His exploration of it for more than fifty years has made him one of its most accurate geographers, one of its most revealing historians, and one if its most sensitive poets. It is a rich country full of details and subtleties to which this visitor’s brief journal entry can only hint. The most difficult thing about starting this blog has been determining what to call it. I settled on The Inner Music only because the Capote quote from which I took it strikes a chord with my own aesthetic. There is something deeply satisfying about good writing and though I might not always call it music, that word suggests enough of a larger country beyond its simpler definitions. At some point I’ll post a brief essay on why I write. That essay engages this question of what in us is satisfied in the aesthetic experience. My intention here is simply to share my thoughts on poetry, books, writing, and art in general. I’ve been writing for twenty-five years and over that time I’ve read and commented on many books and authors, jotted down many thoughts on art and writing. Unlike poetry, which is my first passion, I don’t really try to publish my prose. I’ve published a few book reviews and even fewer essays, but decided a blog would be a good forum for sending my prose work into the world. I’ll try to revise so things don’t read as dated works, although, sometimes this will be unavoidable. For instance, I wrote on the movie Fight Club and will post that here at some point. Since the movie is now ten years old, it’s impossible for the essay not to be dated. Although the significance of it still seems relevant. To kick off this site, I’ve posted a brief appreciation of the poet George Oppen that I wrote a few years ago. Although he’s gained more recognition in recent years, it’s still safe to say he’s not as well known as his contemporaries, or as well known as he deserves. For those who visit, I hope you find here something engaging, something thought provoking. The irony of Oppen’s desire is that he seems largely unheard by poets born beyond the mid-60s. Like his fellow Objectivist, William Carlos Williams, Oppen won a Pulitzer. In 1976, his Collected Poems was nominated for a National Book Award. But in spite of these recognitions, in standard college surveys of major American poets, while Williams receives great attention, Oppen receives relatively little. His work was not even included in The Norton Anthology until the most recent editions. In an attempt to understand this neglect, I was drawn to a comment by Eliot Weinberger. Talking of Oppen’s importance to poets in the 60s, he said “There were, first of all, the facts of his life, which had particular resonance in the era of the Vietnam War and of hectically mutating events and values.” Though Weinberger’s essay, first published in American Poet in 2002 and then used as the introduction to the New Collected Poems of Oppen, was most likely meant to renew interest in Oppen’s work, it seemed possible that Oppen’s political significance skewed the reading of his admirers and limited his audience. With too much emphasis on his political and social appeal, his significance as a poet passed away as those circumstances did. What intrigued me was Oppen had not only served in World War II but, in order to take political and social action, stopped writing for about twenty-five years, in what is probably one of the most famous poetic silences. Grounded as I am in formal poetry, coming to Oppen’s work was a complete surprise. My natural affinity was for the poetry of James Merrill, Richard Wilbur and Anthony Hecht: a different generation and altogether a different sensibility. I had read poets like Williams, but the aesthetic never engaged me. I read it. I knew it. However, I had no interest in it. That is, until I came to George Oppen. His poetry not only engaged me, it enlightened me. Here was a modern voice that never said anything for the simple beauty of a phrase, indeed, never dared speak except to utter in the clearest words its most exacting vision. Here was a poet with an integrity that could be located in every line. By the time I come to speak of myself, I can say nothing. This rootless speech is what the poem calls a speech of “anti-ontology.” It has no being. The man trying to speak the meaning of his life has no language to speak it. It is unreal because politics and public life have appropriated it for ends other than an existential dialogue. The implication is that the ontological use of language must precede or take precedent over all other uses or the consequence is the loss of our ability to articulate being. We will be left always trying to recover the ontological use of language against the erosion of meaning by these other, less significant, uses. The battle to recover these words for ontological use is what accounts for Oppen’s syntactic oddities. A further implication is that even poetry becomes ineffectual for certain things. Simply put, it has limits. If I think that language can accomplish everything, whether as an advertiser or a poet, I rob the true ontological root, which is everyday life, and render language ineffectual in its true and most valuable role: as an instrument for creating meaning. In which one cannot speak. This is why Oppen’s poetry needs no politics or prose, but caries its integrity and dignity all on its own. Ontology precedes politics and art in every situation for Oppen. Ontology is the ground of everything. Thus he takes no word, no matter how slight, for granted. Oppen does not simply use words, he employs them. That is to say, he pays a price for them. Nothing is said unless his personal experience teaches the meaning of a word and that word comes to maturity through his personal experience of it in life. The significance of a word is restored through the experience of it in daily life. Thus we know in Oppen’s poetry, he is the speaker. The artful persona is nowhere in Oppen, for it is contrary to everything in his poetics. He does not separate his aesthetic concerns from daily ones, his life as a poet from his life as anything else. Thus, that famous, long silence was not without its poetic validity even though it was a consequence of pursuing a goal beyond the capacity of poetry. During that time Oppen experienced language and recovered it for his later poetic projects. Without that rescue in actual life experience, his poetry would have been mere linguistic exercises. But as we have them, they are one of the greatest authentic poetic pronouncements of 20th Century American poetry.